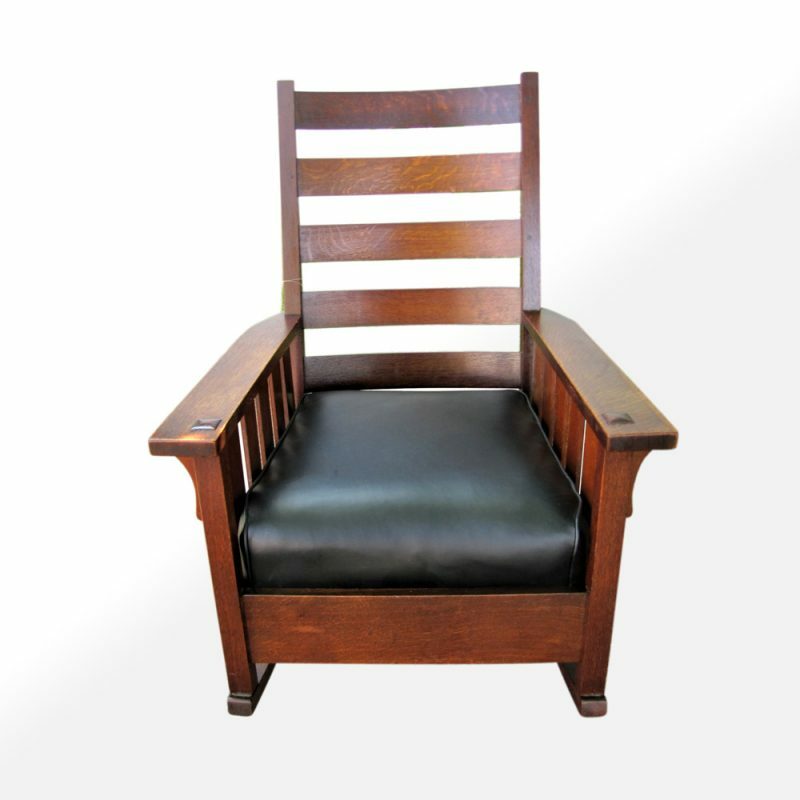 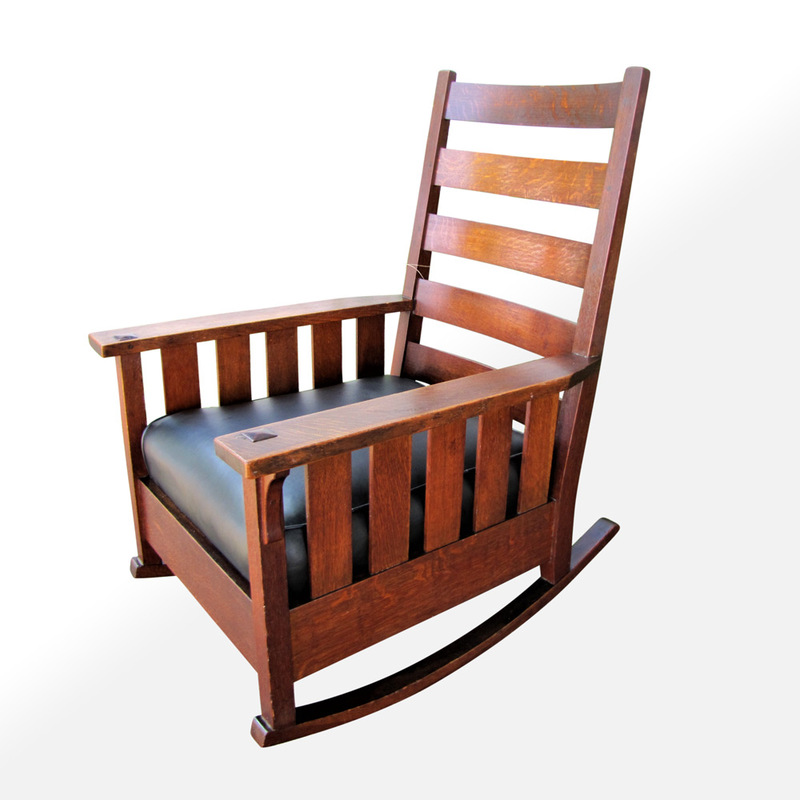 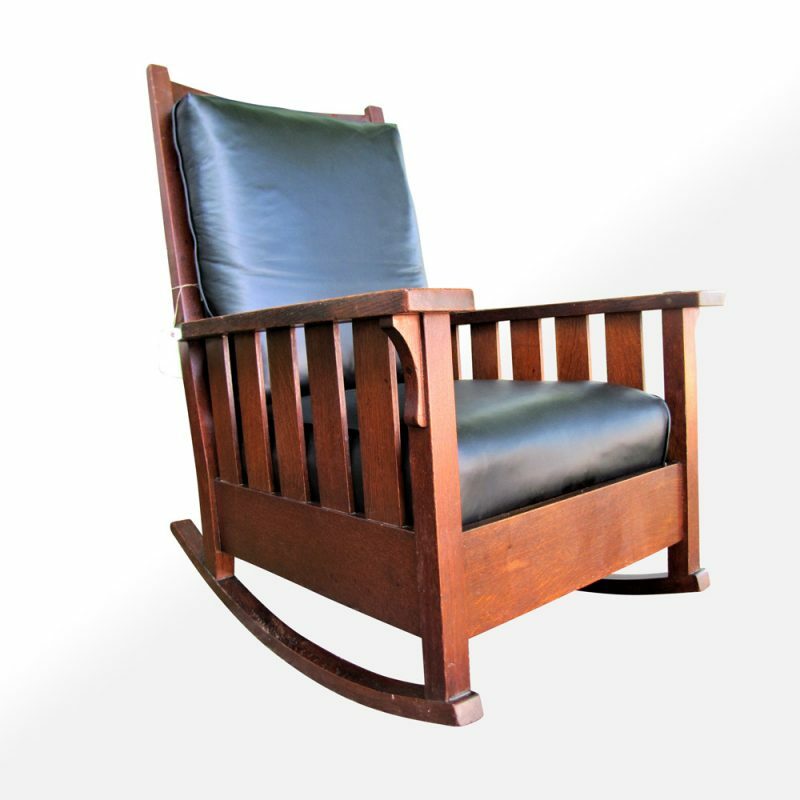 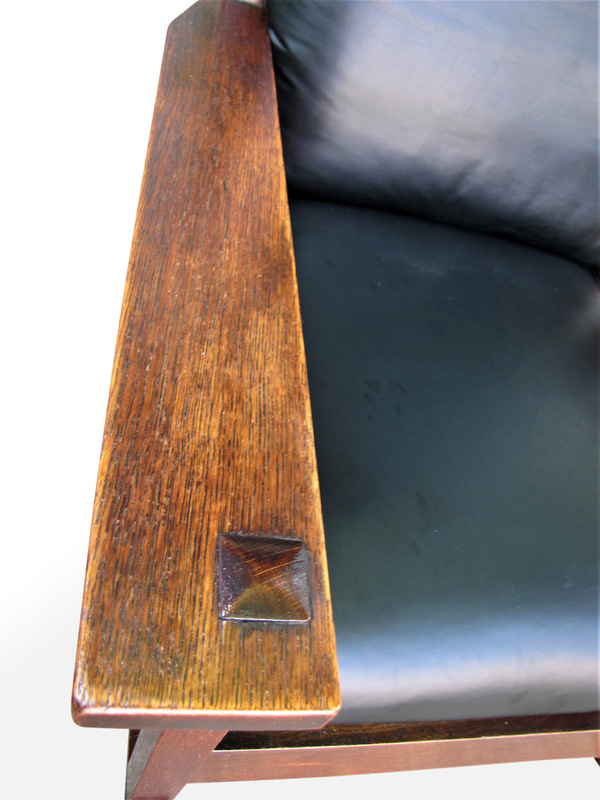 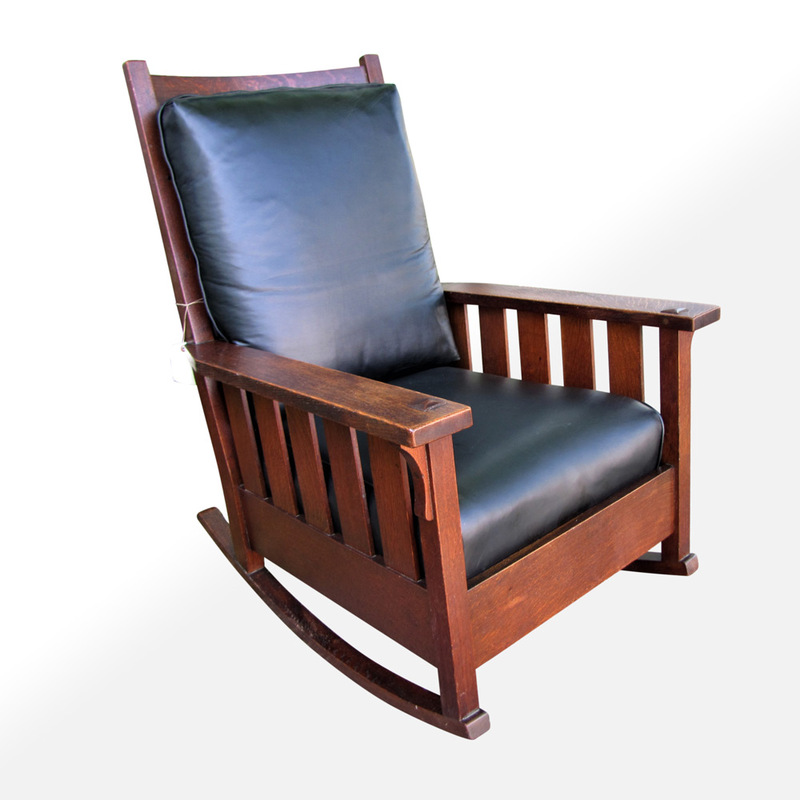 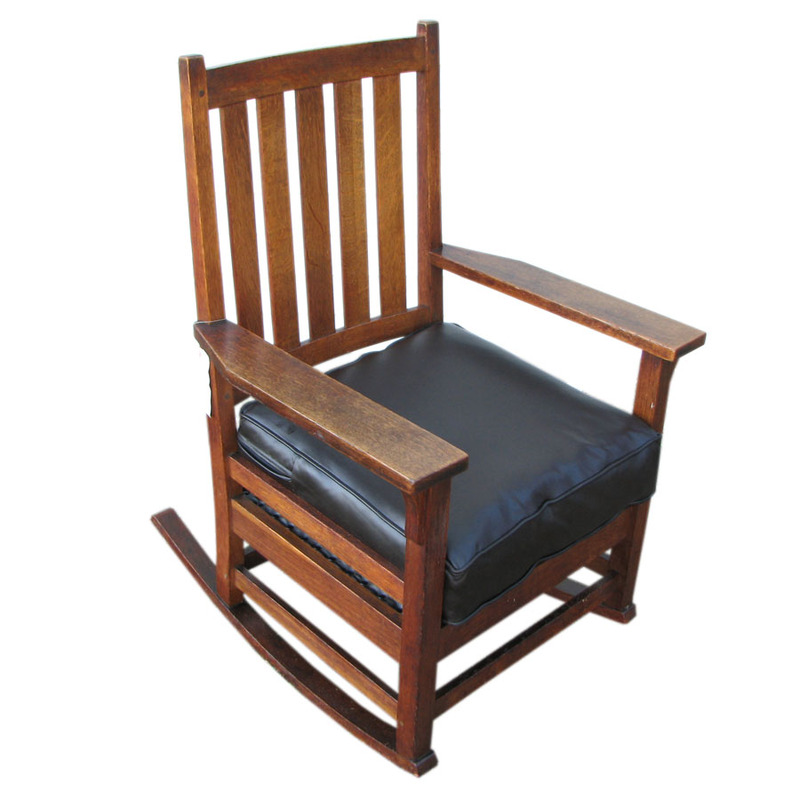 This is a great looking Gustav Stickley arm large rocker with slates to sides in vey good condition. 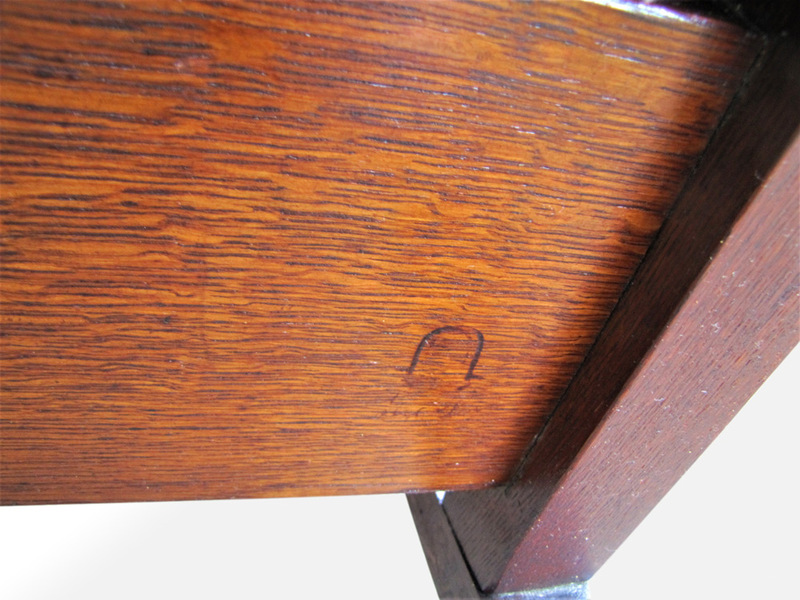 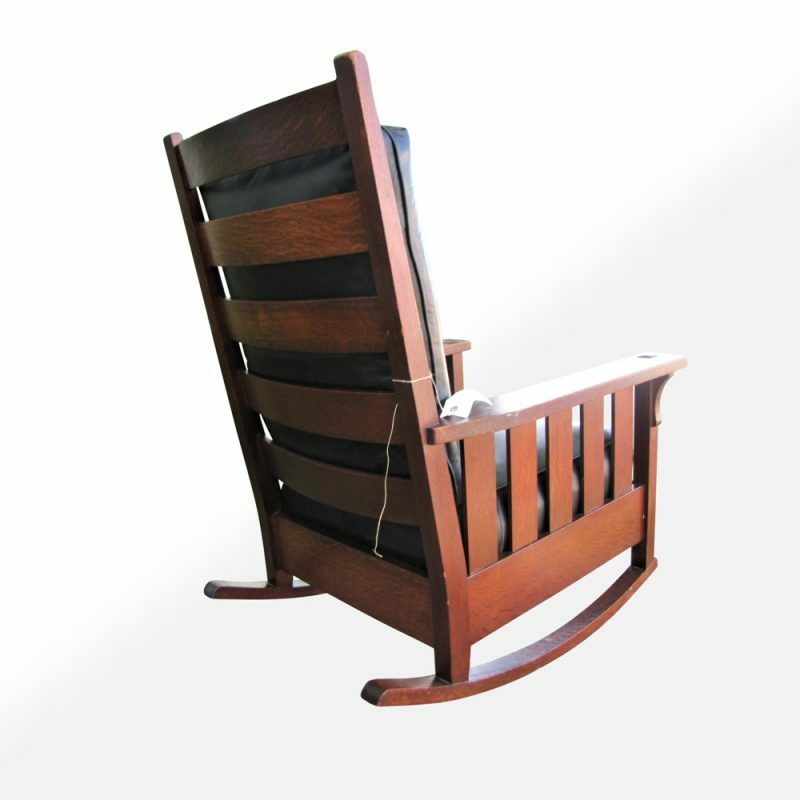 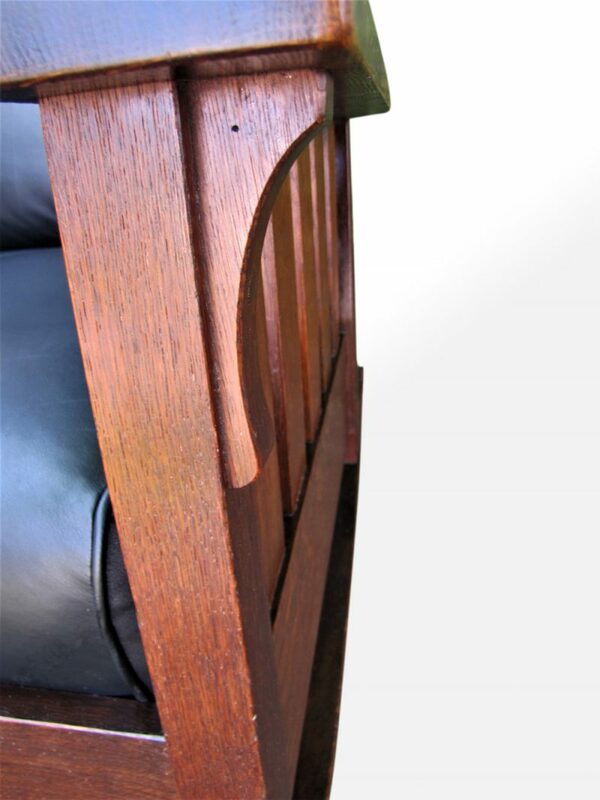 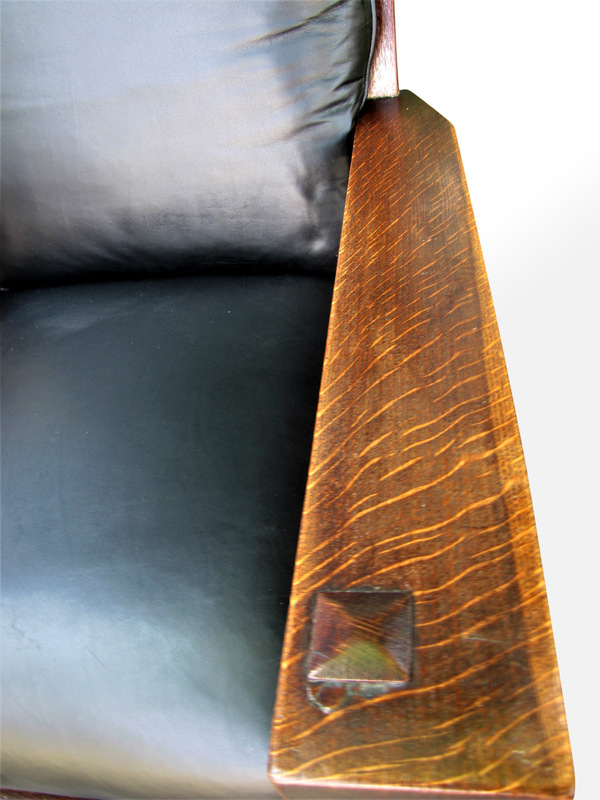 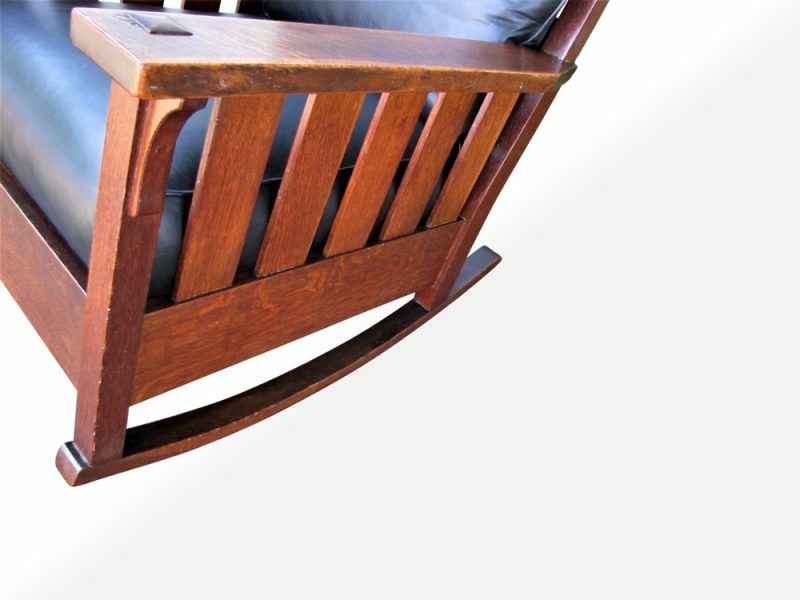 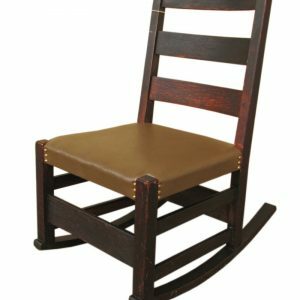 The chair is made from good 1/4 sawned oak and mark with brand. 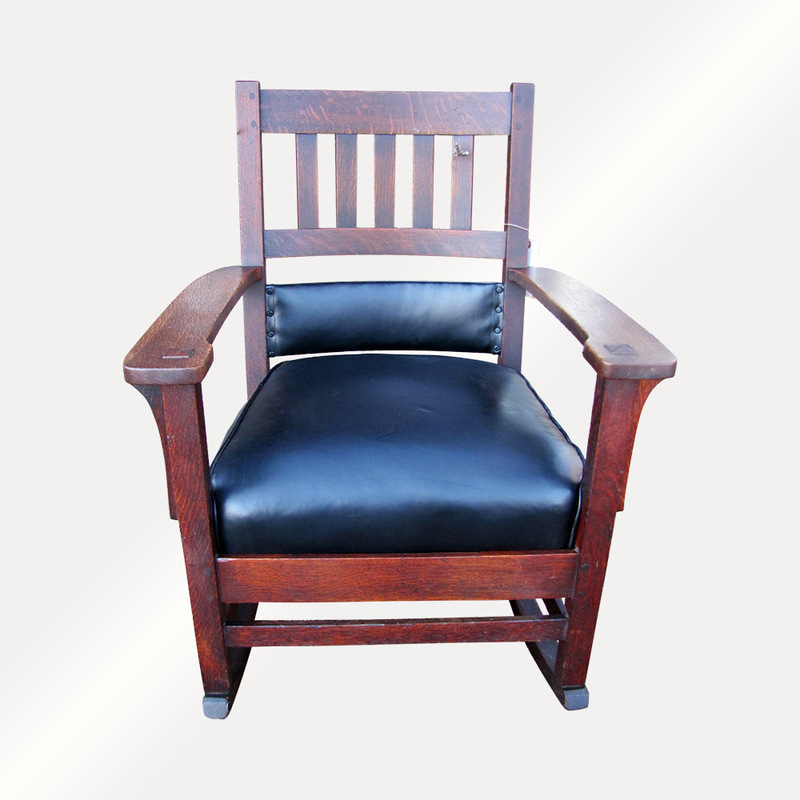 new leather but looks good with 120 years old chair. 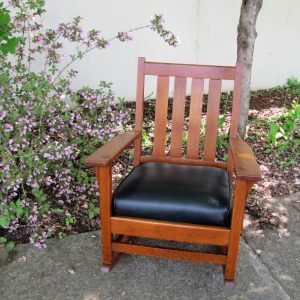 No repairs or replace parts sturdy and strong.